Merry Christmas everyone! We hope that your holidays have been good so far and that you have lots of good eating to do today. Though your menu more likely includes turkey or ham, we thought we would post a recipe that’s a lighter alternative to the normal holiday fare. This was the main course of our Christmas dinner that we talked about a few days ago– it was rich and buttery, and the recipe is really simple to prepare. If you’re able to get good, fresh fish (either sea bass or halibut), you don’t want to do much more than just let the fish shine on its own. Until then – we wish everyone a very Merry Christmas and look forward to seeing you soon! 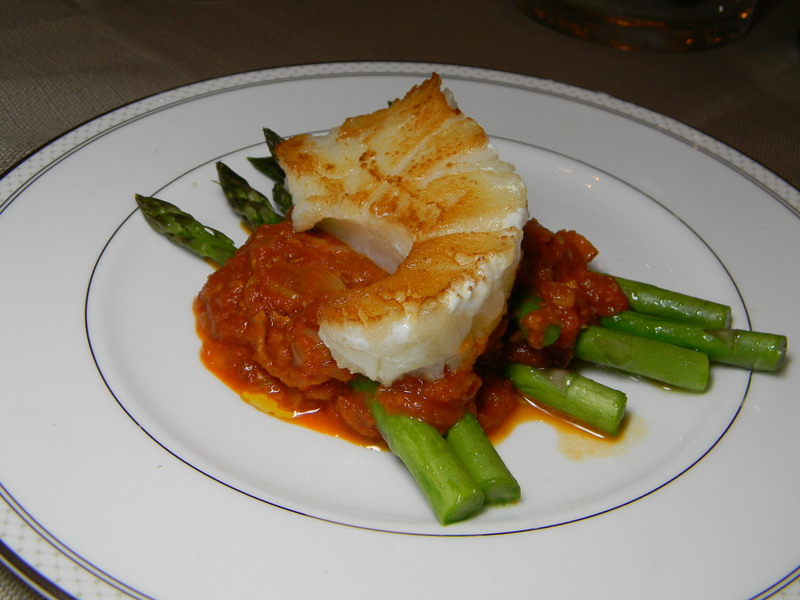 The sea bass is pictured here with another Thomas Keller recipe- Asparagus and Tomato-Bacon stew… we’ll be sure to post the recipe for that soon!